Star Wars Resistance premieres tonight at 10:00 PM. 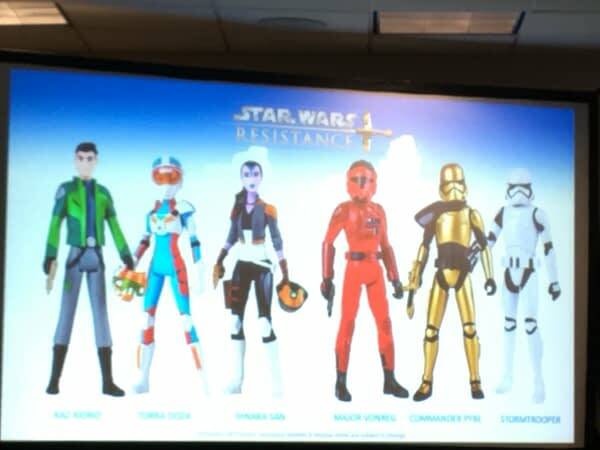 A recap of those figures that have already been announced include Kaz, Torra, Synara, Conreg, Gold Commander, and a Stormtrooper. 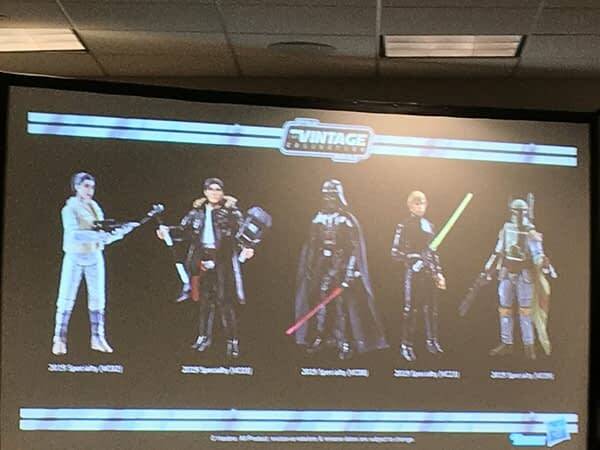 These are all single figures coming out in Spring 2019. 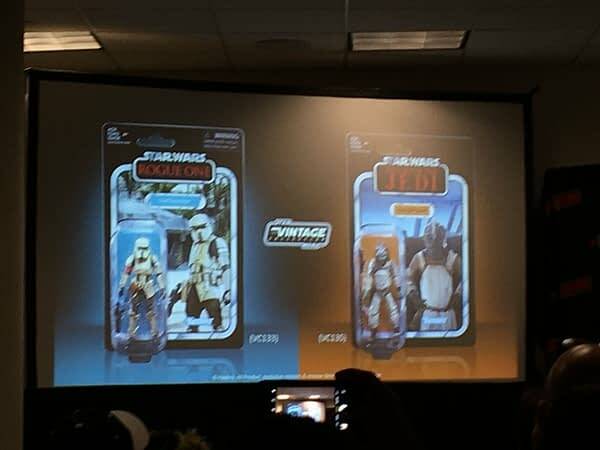 Previously announced are the Poe Dameron & BB-8 and Jarek & Bucket (the droid) two-packs, as well as the ‘Micro-Force’ Advent Calendar with mini-figures that include a Porg in a Santa hat. Some new Star Wars Black Series (6” scale), as well as a Darth Vader helmet fans could wear, were revealed at the show. Prototypes were shown to the two children assisting the panelists and thus the people in the first row. They were given the Darth Vader helmets that the panelists wore for their help. 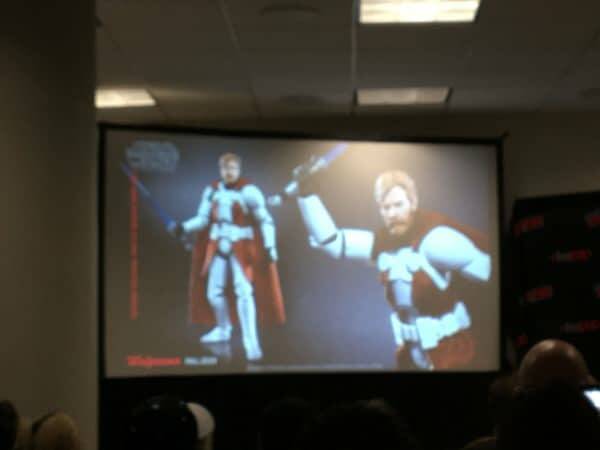 A new Obi-Wan Kenobi (Clone Trooper Armor) was shown. 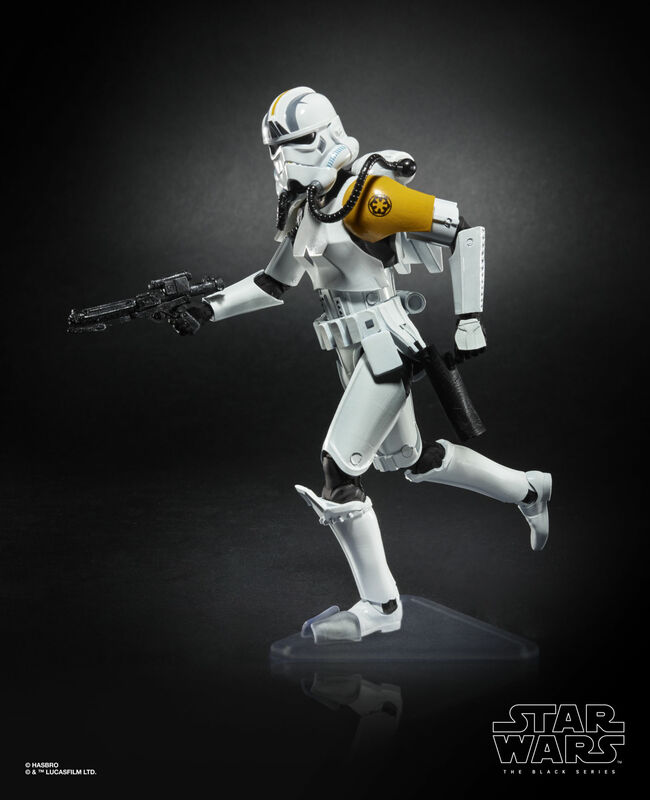 This is part of the Black Series but is inspired by both the Clone War cartoon series and the Genndy Tartakovsky Clone Wars shorts. It is a Walgreens exclusive and will be available Fall 2019. 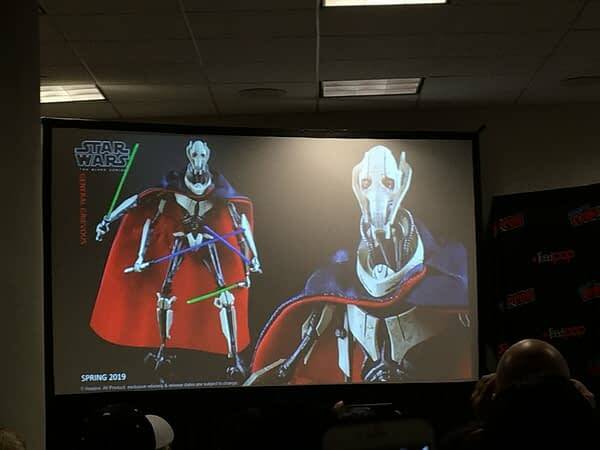 The panelists discussed that “we’re seeing a lot more Prequel love” followed by claims that they “are working on offerings from those and will be revealing some between now and the end of the year, but not today.” The next reveal for the Black Series was one that “is requested more than anything else,” General Grievous in Spring 2019. 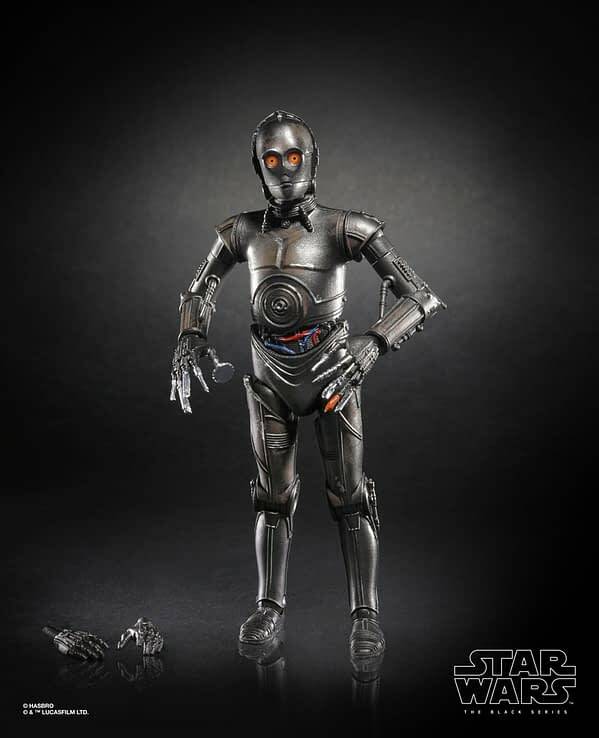 He will be 7”, with a cape that has pockets that you can put Lightsaber hilts in. 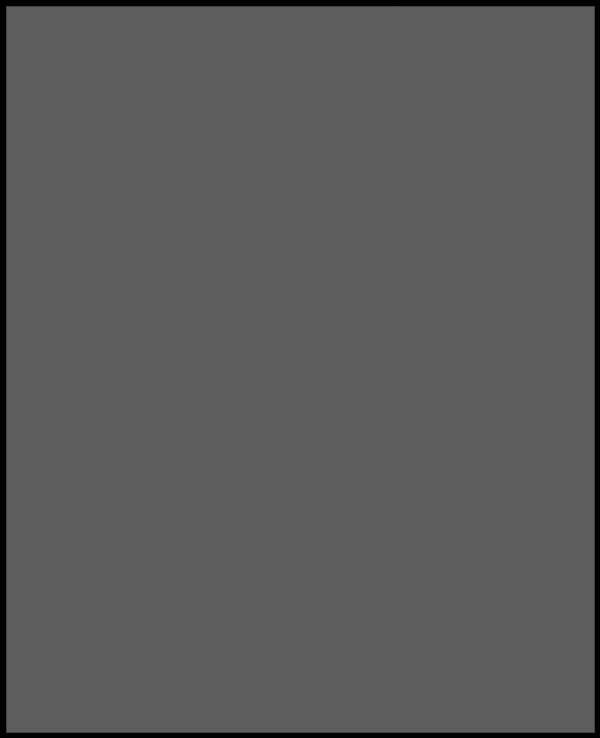 Arms can be removed so that the figure will be displayed with either 2 or 4 arms. He is a new scale with a new price point. This is why he was not done before now, he was too big for the existing scale offerings. 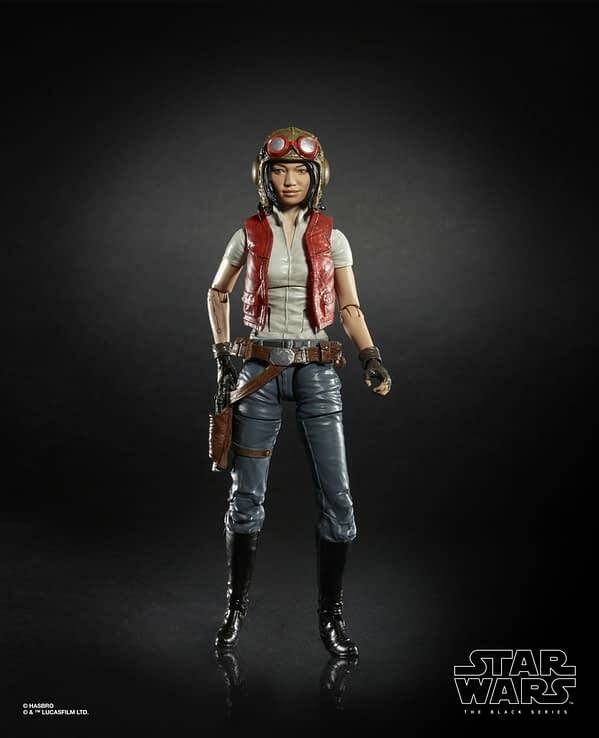 Doctor Aphra is being revealed today as part of Black Series. 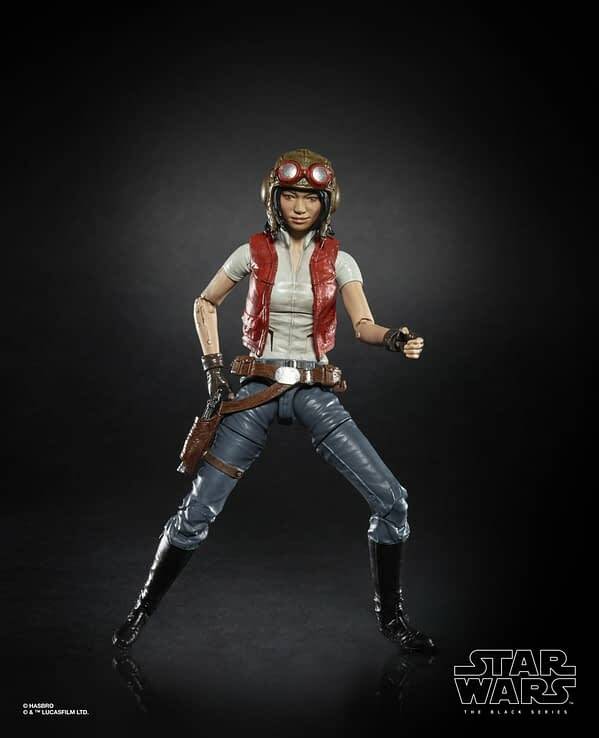 She is from the comics and while the character “is only a few years old she has gained a huge following.” Her Helmet and vest are removable. 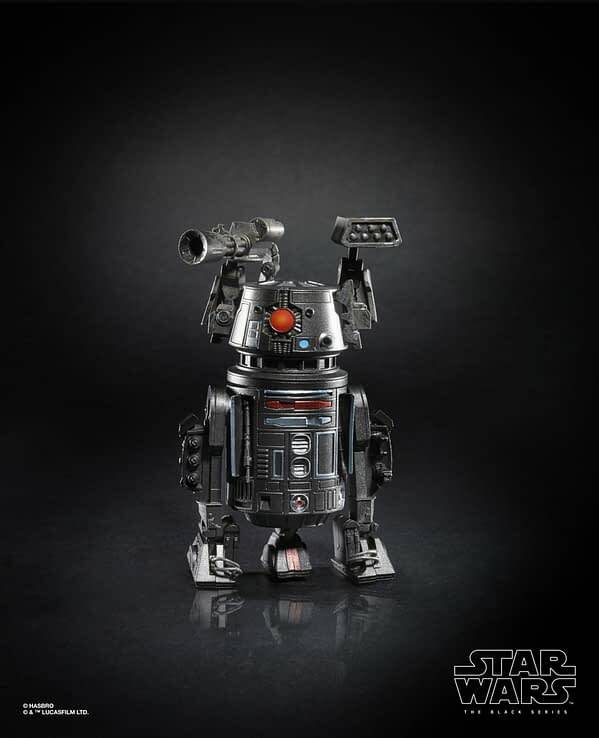 Triple Zero and BT-1 are also being released. 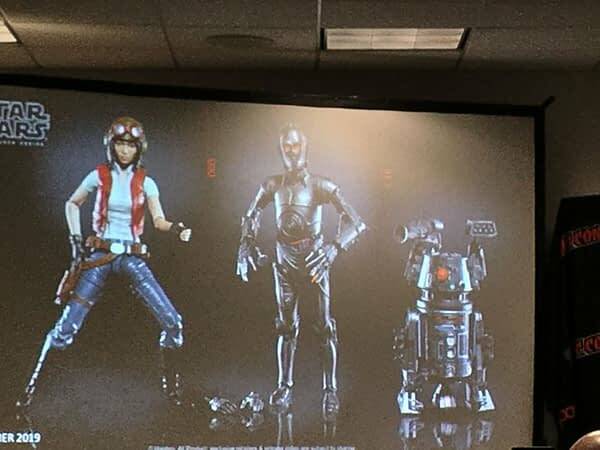 These are Aphra’s assassin droids. 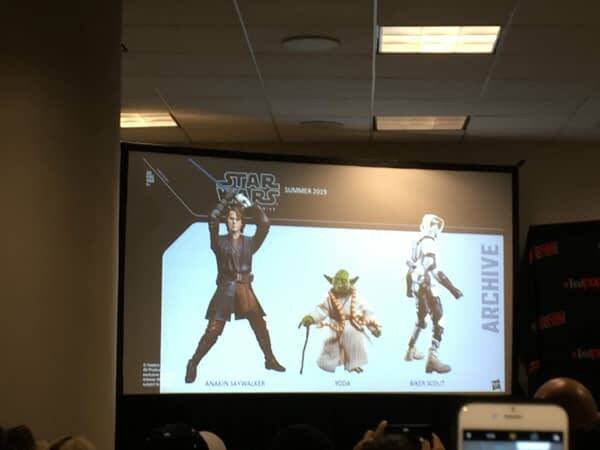 All three figures are expected to be released Summer 2019. 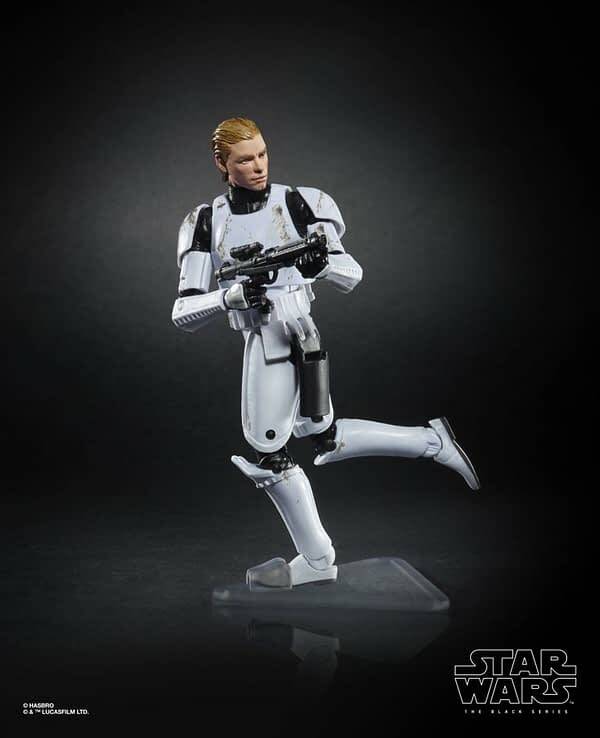 The next figure shown was, as seen in Rebels and Battlefront II, the Imperial Rocket Trooper (Commander) as a Black Series figure. 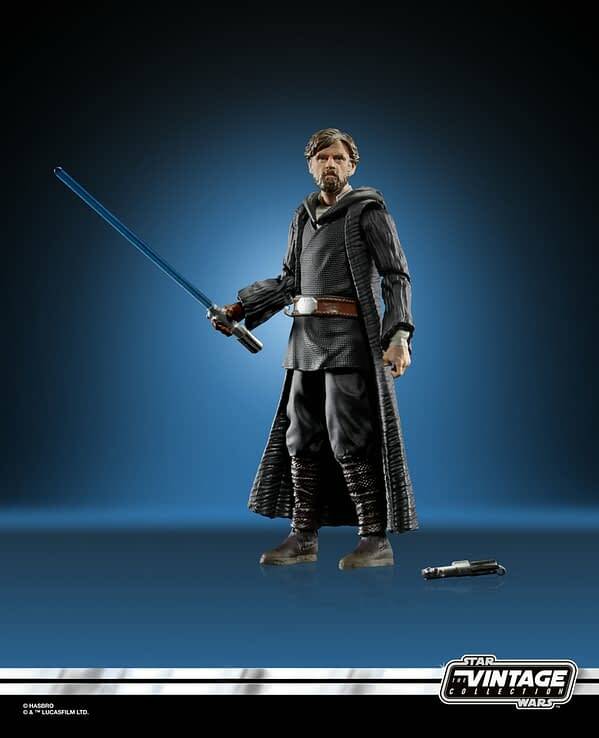 This will be a GameStop exclusive. 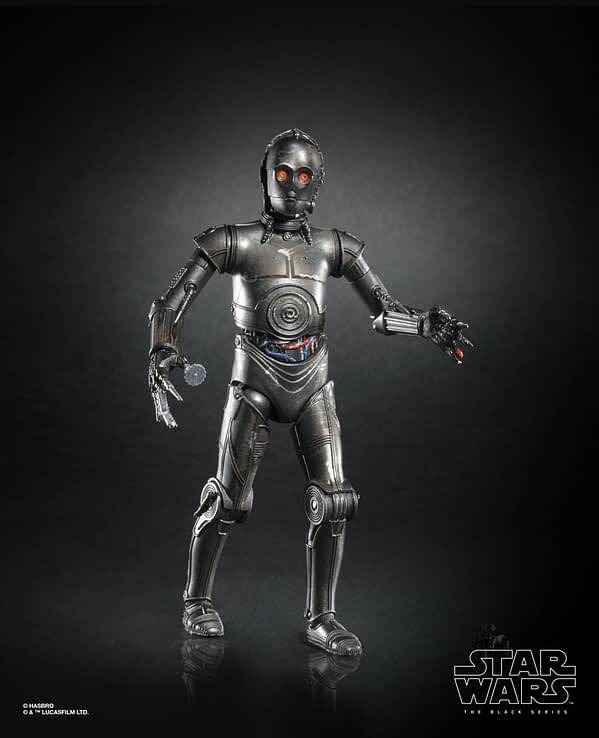 He will have a new, triangular stand, with “no pegs and more of a ‘slipper’.” Often these exclusive figures are used to work out some technical issues and try new things. 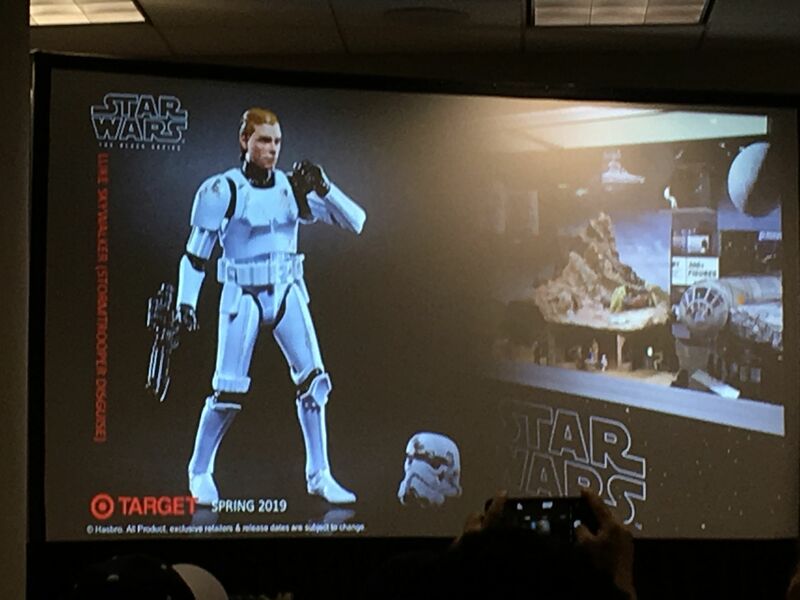 A Target exclusive to be released in Spring 2019 will be Luke Skywalker (Stormtrooper Disguise) with wet hair from the trash compactor in the original Star Wars. 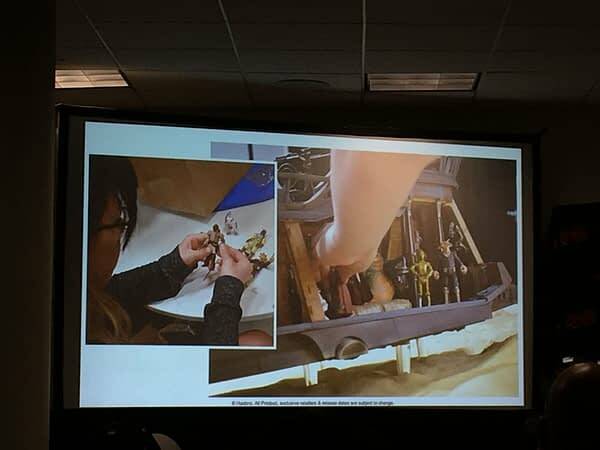 This was something the team was pestered about by fans because of an Easter Egg in the diorama shown at SDCC and HasCon 2018. 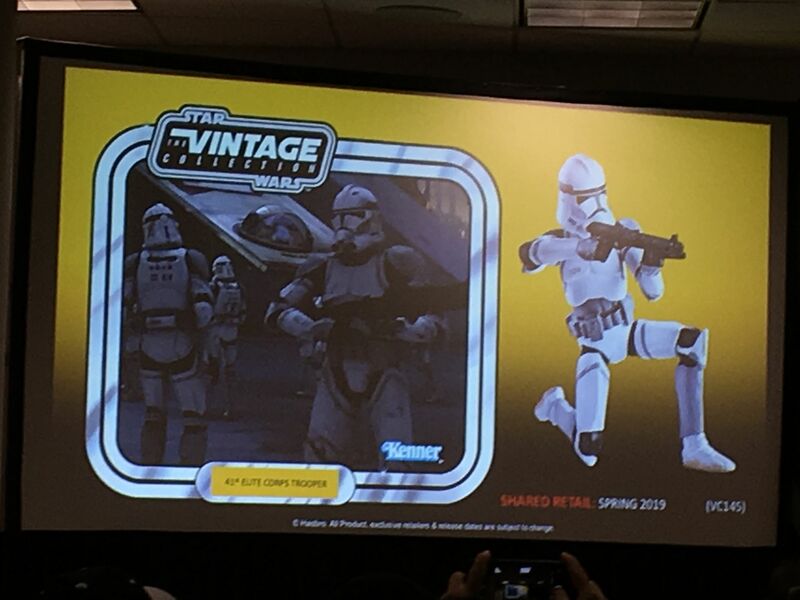 Star Wars: The Vintage Collection will have a Han Solo in Stormtrooper disguise, and 41st Elite Corps Trooper (Clone Trooper), to be released in Spring 2019. 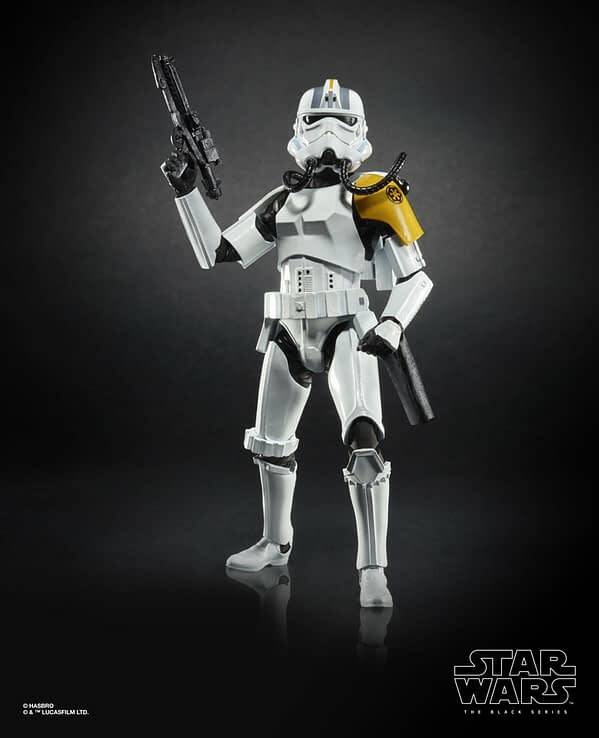 The Elite Trooper will have “properly colored gloves and belt.” Retro-packaging Scarif Stormtrooper from ‘Rogue One’ was shown. 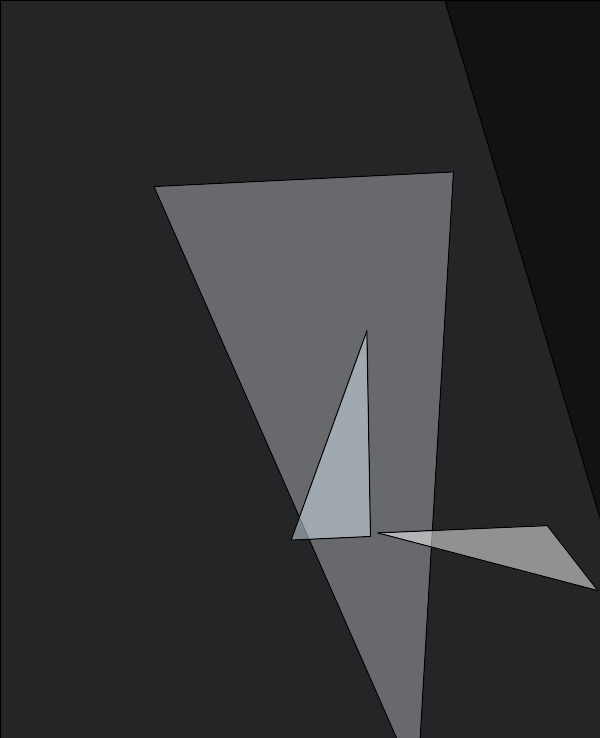 This is meant to show “what if this came out in 1983? 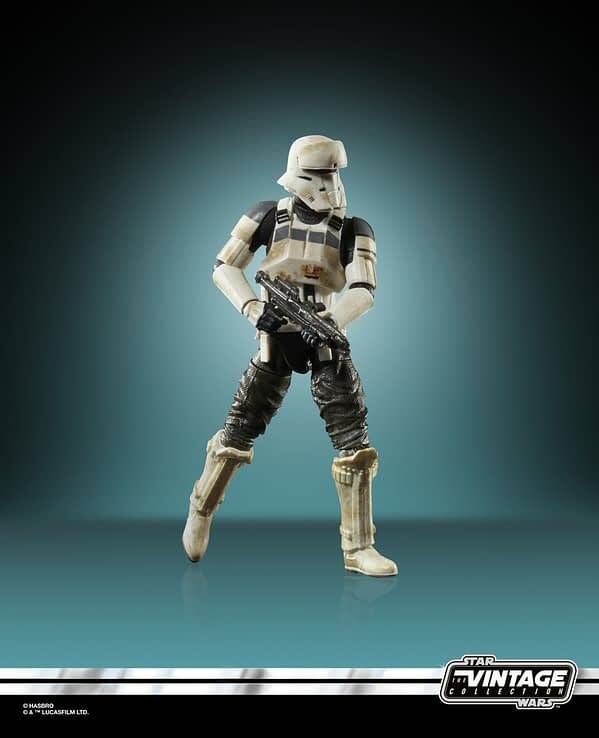 Before Photoshop.” These are based very heavily on the classic Kenner line. Saelt-Marae (Yak Face) and Princess Leia in Bounty Hunter Disguise (Boushh) were shown. 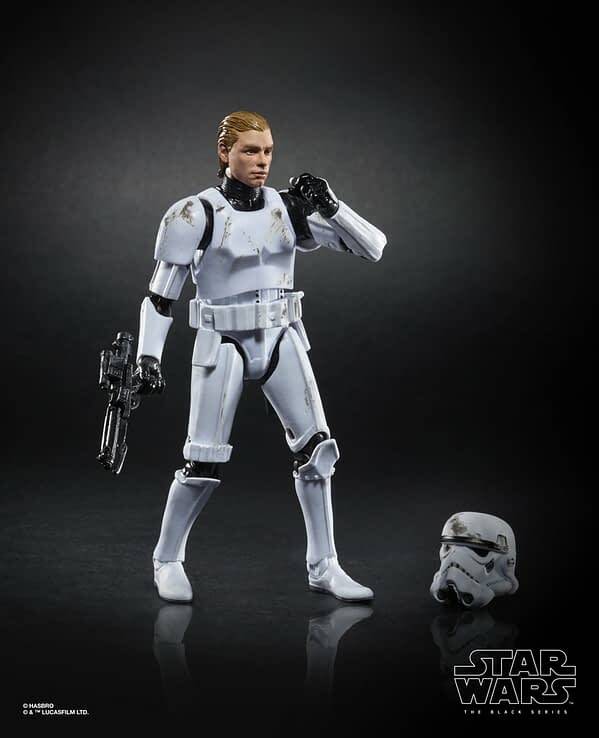 Leia will have a separate bubble for helmet on the package. 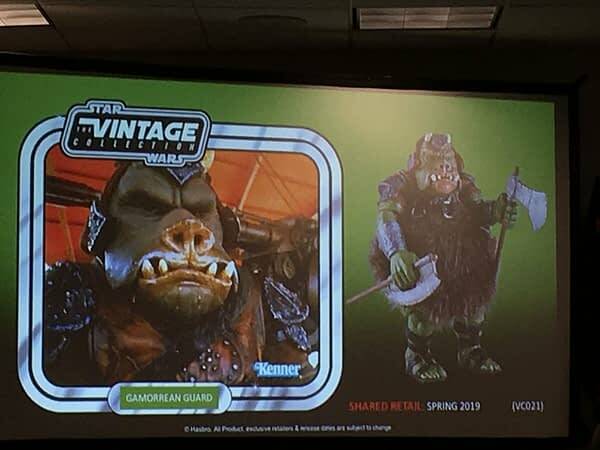 Because of the imminent release of Jabba’s Sail Barge (based on preorders from HasLab) the Gamorrean Guard is being rereleased. The panelists took the audience through more Barge information. Buyers are called, and treated as, ‘Backers’ as if the Barge was a crowdfunded offering. 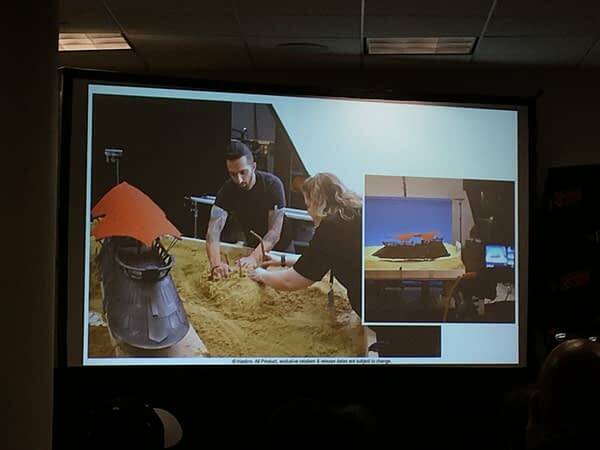 Behind the scenes photos of the photoshoot for the packaging of the Barge were shown for the first time. 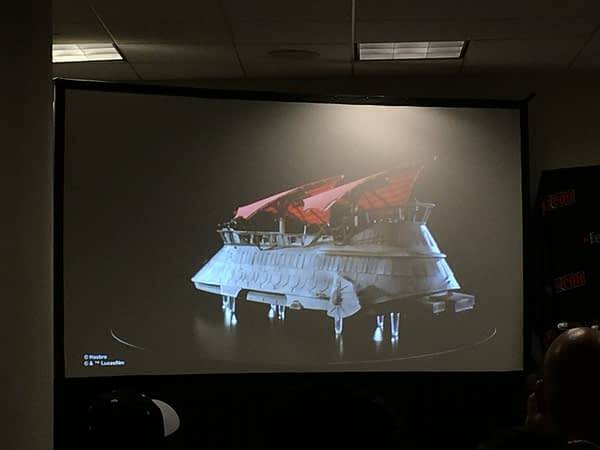 The packaging will show the Sarlacc Pit with individual tentacles. 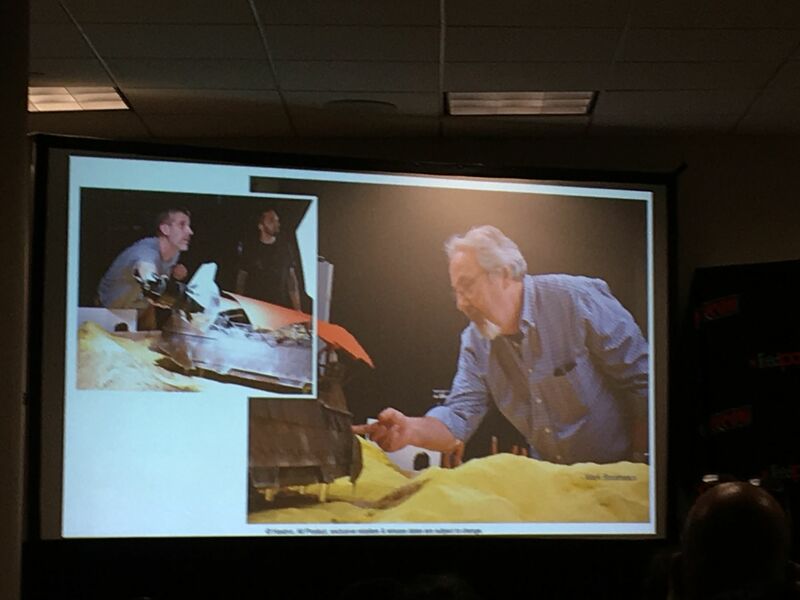 A video was also shown of the photoshoot that will be shown to Backers. 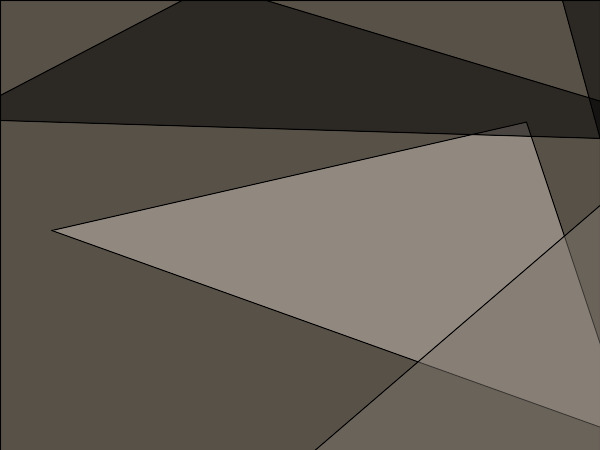 This video is slightly longer than what Backers will be shown. The entire process for photographing the Barge seems not that dissimilar to how the Barge was probably filmed for 1983. 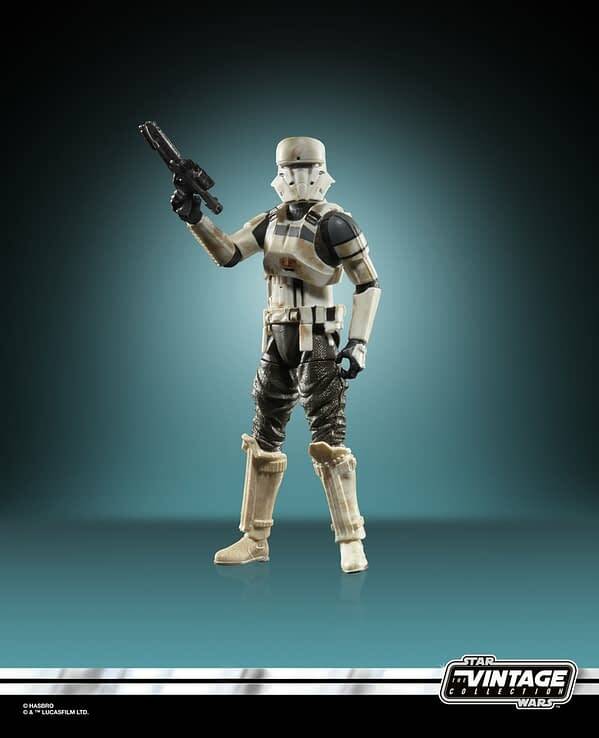 This packaging is also based on the original Kenner line. 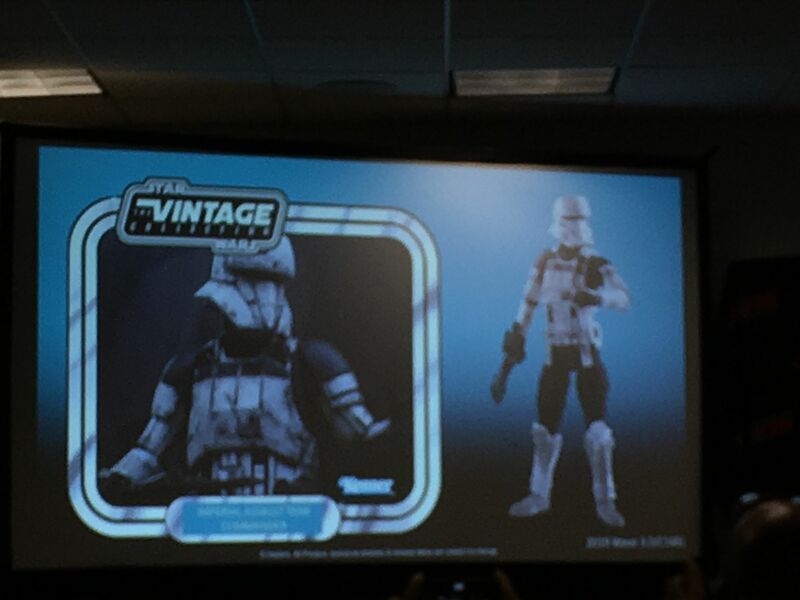 The Ewok Village vintage item was used for reference. 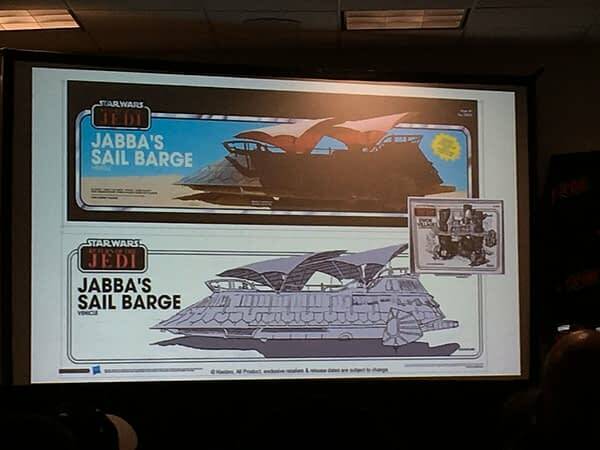 Barge will ship in February 2019. Final packaging will be shown to Backers around end of 2018. 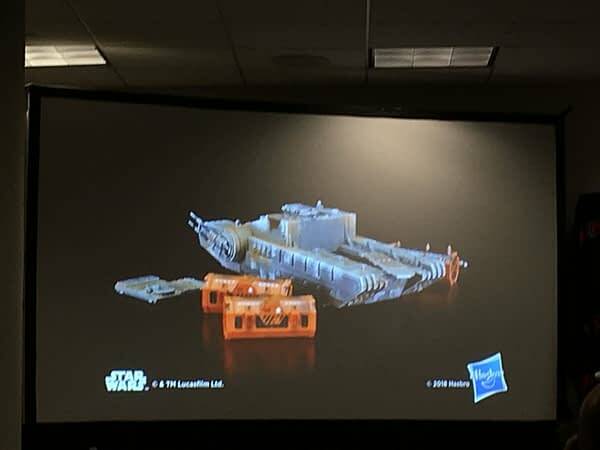 Assault Tank from ‘Rogue One’ shown as was the Imperial Assault Tank Commander. 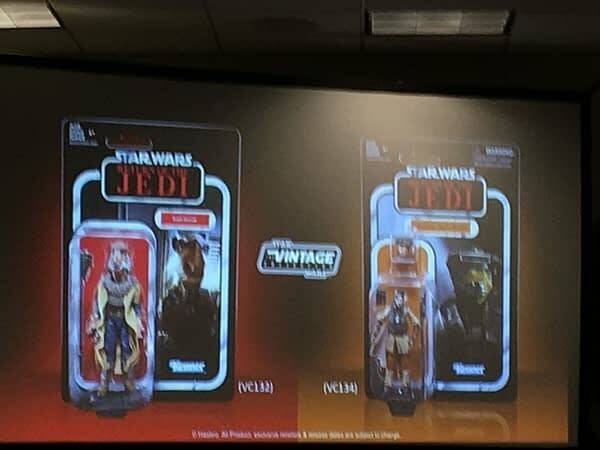 These are both for Star Wars: The Vintage Collection, the 3 3/4” line. 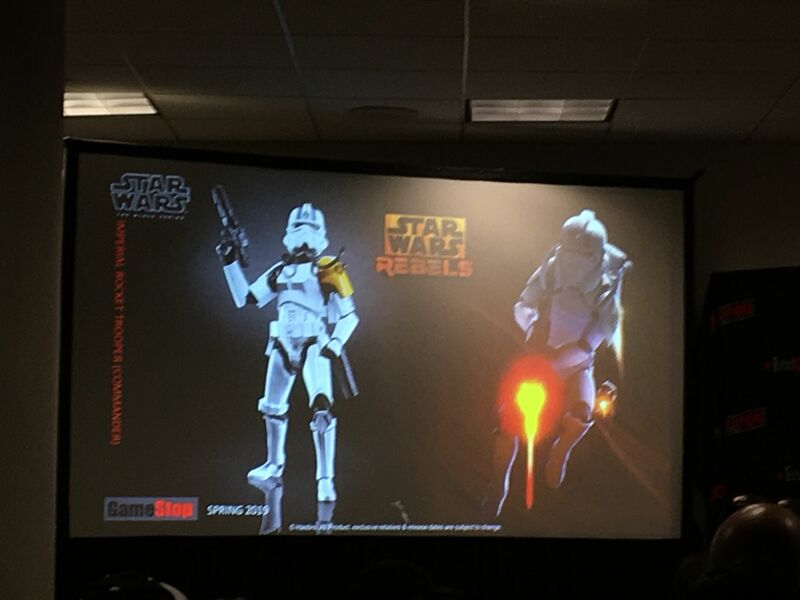 Here are high quality images of the reveals as well!